Dental emergencies occur when you least expect them. If not handled properly, they can result in serious pain, permanent damage, and high dental bills, so it’s best to learn how to prepare for them. It may be difficult to locate an emergency dental clinic on weekends or after office hours. 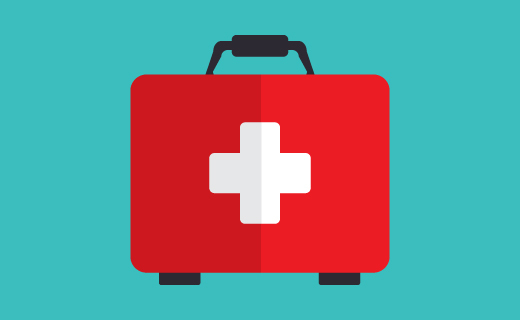 If you know how to handle common emergencies until you can obtain professional help, you may be able to prevent complications or even save a tooth. Following is a list of seven tips for handling common tooth injuries and other emergencies until you can get help. If a filling falls out, fill the hole with temporary dental cement or sugarless chewing gum until you can see your dentist. If you chip or fracture a tooth, rinse your mouth and any broken tooth pieces with warm water. If you’re bleeding, apply gauze firmly for approximately 10 minutes. A cold compress can help relieve swelling and pain. See your dentist soon. If you get a sudden toothache, rinse out your mouth with warm water, and use floss to remove debris. If there is swelling, apply a cold compress to your face. Do not apply aspirin to your tooth. If you have a painful, pimple-like swelling it could be a dental abscess, which is a serious condition that requires medical care. See your dentist in Dalton as soon as possible. If a crown falls off and you can’t get to the dentist right away, swab clove oil onto the tooth to relieve any pain and try to slip the crown back over it. To help your crown stay in place, apply temporary dental cement, denture adhesive, or toothpaste to the inner surface. Never apply glue. If a tooth gets knocked out, hold it by its crown and gently rinse it in water. Never scrub the tooth or disturb the soft tissues attached to it. If you can, place the tooth back in its socket, but don’t force it. If you can’t replace it, store it in milk. Obtain care from an emergency dentist within one hour for the best chances of saving the tooth. If you suffer a lip, tongue, gum, or inner cheek injury, rinse with salty water to remove food and debris. To control bleeding, apply pressure to the site using moist gauze or a tea bag. If it doesn’t stop within 10 minutes, see an emergency dentist immediately, or go to your local emergency room.